From ancient civilizations to the present day swords were and are an integral part of military history and a symbol of military honor, valor and courage. Before the advent of firearms and heavy artillery swords were used for intramural fights. It is believed that the first sword appeared in the Bronze Age and was made ​​of copper. William Wallace (1272-1305) was a Scottish knight and a great military leader who fought for the independence of Scotland from England. He led foot soldiers in close combat with the enemy.The main weapon of many of his soldiers was a sword. 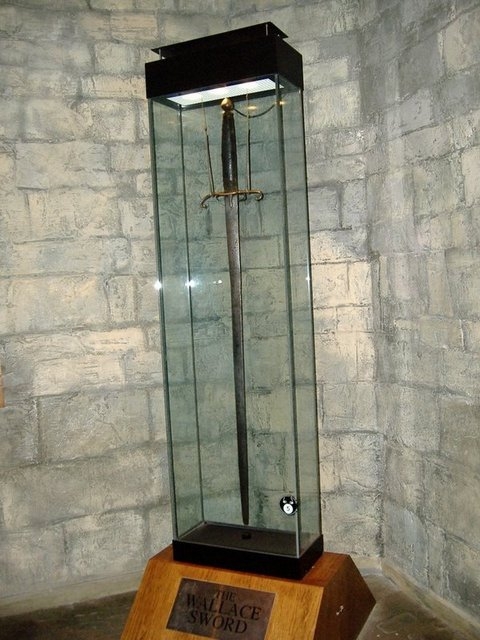 Currently Wallace sword is kept in the National Museum in Stirling. Its length – 132 cm, weight – 3 kg. Bulbous head sword made ​​of gilded iron, and the handle is wrapped dark brown skin. Modern audiences familiar image of Wallace in the film “Braveheart.” During the filming through the hands of Mel Gibson (who plays Wallace) passed 12 replicas of famous sword. El Cid was born in the Kingdom of Castile, which was one of the medieval empires of the Iberian Peninsula. He was not only a successful military leader and diplomat, but also an excellent swordsman, and later became the hero of the Spanish and the right hand of the king. El Cid owned two most famous swords – Colada and Tyson, the last of which he used in the fight against the Moors. It is said that Tyson was forged Damascus steel in Cordoba, Spain. Its length – 103 centimeters and weighs about 1.1 kilograms. On the sword has two inscriptions, one of which indicates the date of its creation – in 1002, and the other is a Catholic prayer. Tyson now can be seen in the Museum of Burgos in Spain. 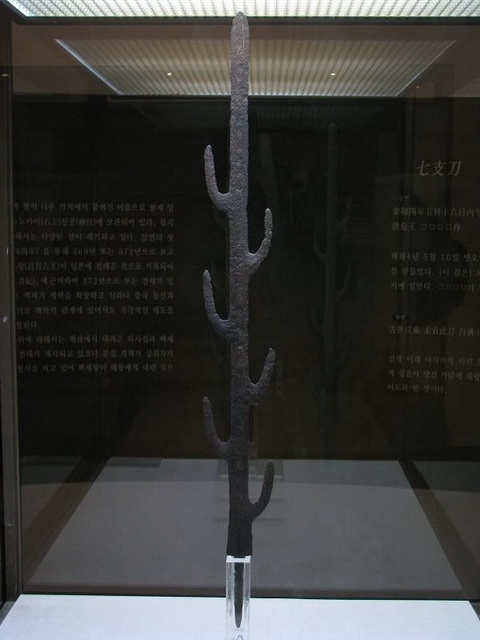 The ancient kingdom of Baekje, which is in the south-west Korea, reached the highest peak in the IV century. During this period, the legendary king Kynchhogo prepodnёs Semizuby sword ruler of the Eastern Jin Dynasty, as evidenced by the inscription on the blade. Central blade with branches emanating from it reaches 65.5 inches in length. The sword was created for ceremonial purposes and not for fighting. 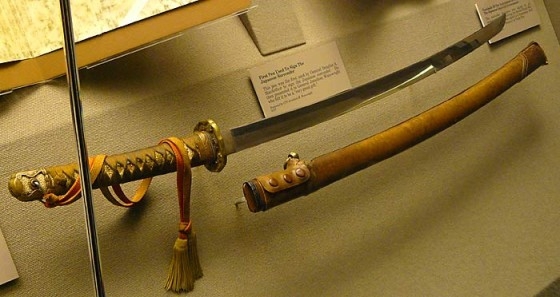 Semizuby sword is an important historical artifact and is now kept in the Temple Ionokami in Nara Prefecture, Japan, but there was not put on public display. General Jose de San Martin was one of the main leaders of the Americas in the struggle for freedom from the Spanish authorities. His sword is highly prized in battle and still preserves the memory of its owner. There was a curved blade sword, which made ​​a very effective weapon in the battle. 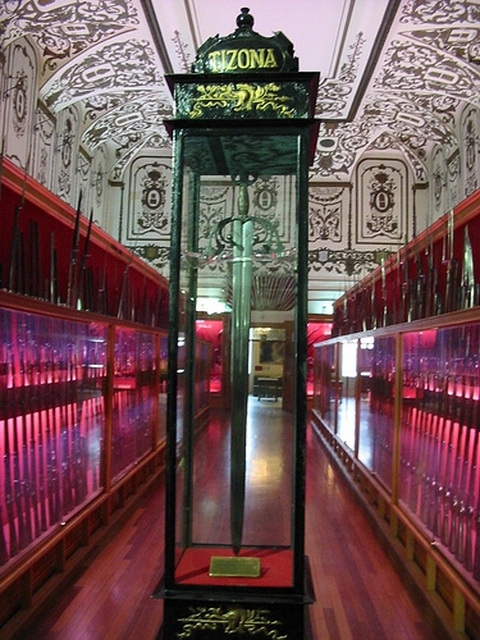 Now Sabre San Martin kept at the National History Museum of Buenos Aires. During World War II, the Imperial Japanese Army General Tomoyuki Yamashita, nicknamed “Malayan tiger” famously captured the British colonies of Malaya and Singapore. He owned a personal sword that was forged by the famous master. 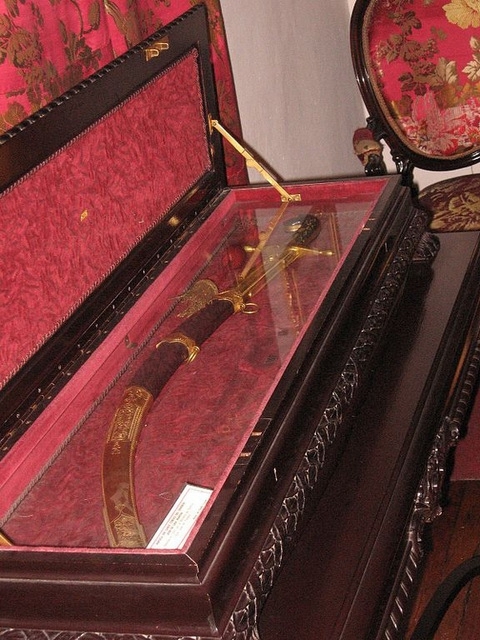 Now this sword can be seen in the Military Museum West Point.